From e-mail, to documents, to calendars, to phones, to browsers, to video, Google has you covered! It was about time they brought it all home with Google+ and it's about time Google+ comes in pillow form! 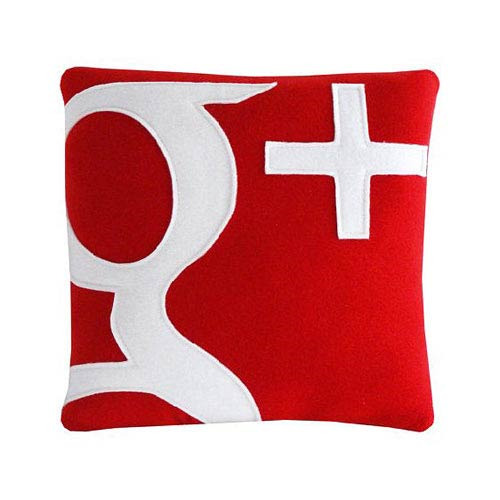 Now you can sit in comfort while you share with your friends with this great Google+ Logo Pillow that features the Google+ logo in signature white and red. Made from soft fleece with fluffy polyester filling and measures 12-inches square.